Android is the operating system for mobile devices from Google. It’s the most popular OS on smartphones, used by most manufacturers. The backside of this notoriety is that hackers and cyber criminals are now focusing on its weaknesses. They keep coming up with malware and viruses that threaten the security and privacy of users. 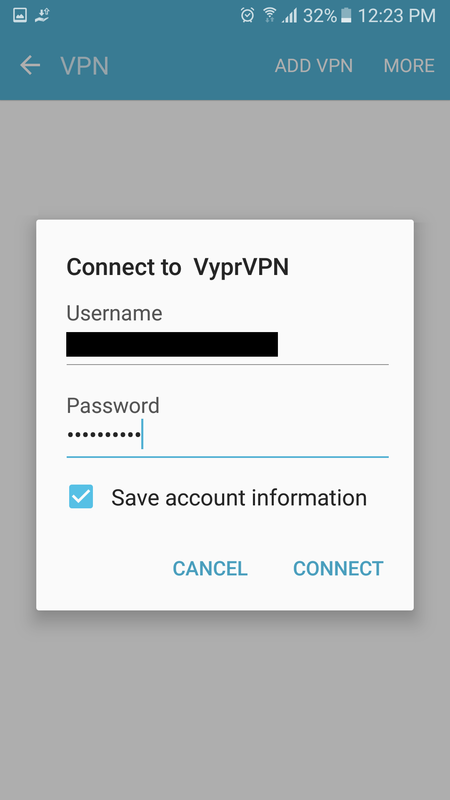 In this article I’ll explain how to protect your device and your data with an Android VPN. 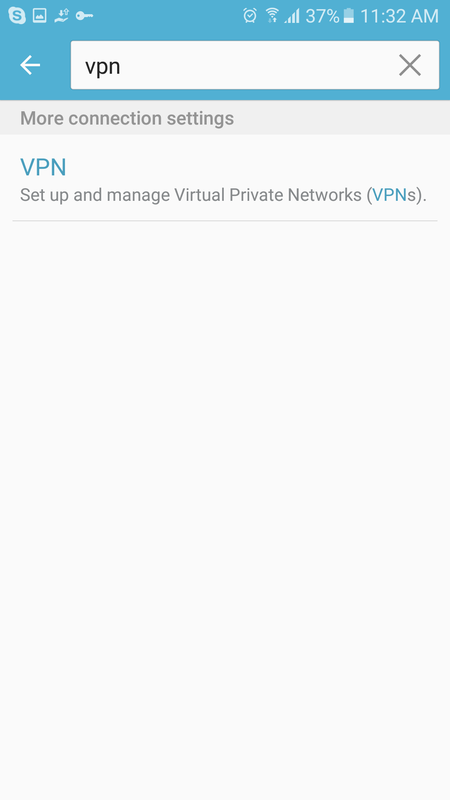 VPN for Android: Is it really useful? As a rule, I highly recommend you to use a VPN on ALL your devices. Most people use an antivirus, without even thinking about it. But fewer use a VPN. However, both software have been created to compensate a lack of security on your device. I already introduced what’s a VPN in a previous article, so I’ll make it short. A VPN is an encrypted connection from point A to point B. It’s a closed network you can access after you subscribe to the service. There are countless activities you can do on your Android device. You can call and send text messages, of course. You can also surf on the Internet, shop online or pay your bills. Everyday, new apps are published to improve your life. And it’s amazing! Unfortunately, the risks of exposing sensitive data to intruders is increasing accordingly. That’s where a VPN is useful. Because companies created the first VPNs to protect their communications and avoid the risk of data interception. The best VPN for Android will encrypt all your traffic data. Therefore, you can browse any website anonymously, read your emails and input your passwords safely. If your government, your Internet Service Provider or any hacker is spying on you, they won’t be able to get access to your online activity. Even if they can get access to the data from the VPN server, that are in the clear to reach the website, it’s impossible for them to find your real IP address and your location. I can never repeat this enough: Free WiFi networks are dangerous! Are you safe on public networks? The answer is absolutely NO. If you see a free WiFi, you can’t know where the network is coming from. And you could be connecting directly to a hacker’s device. Without even knowing… A 12 year old could have setup a trap with a free Trojan horse to access your data. You should avoid connecting to a free WiFi and you should never input or access sensitive data. Because these data are in the clear and easily accessible. The only protection available is a VPN software. Luckily, most VPN now offer native apps for Android. With a VPN app, you can connect to free WiFi networks safely. Your data are encrypted in the tunnel. 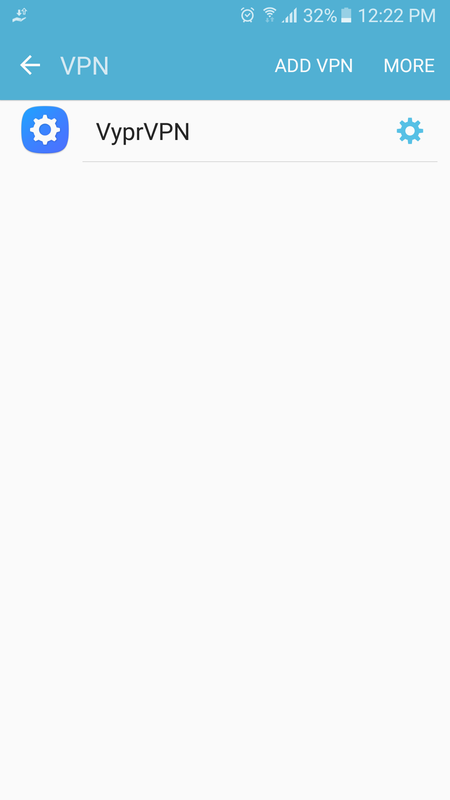 This is one of the most popular feature of VPNs. 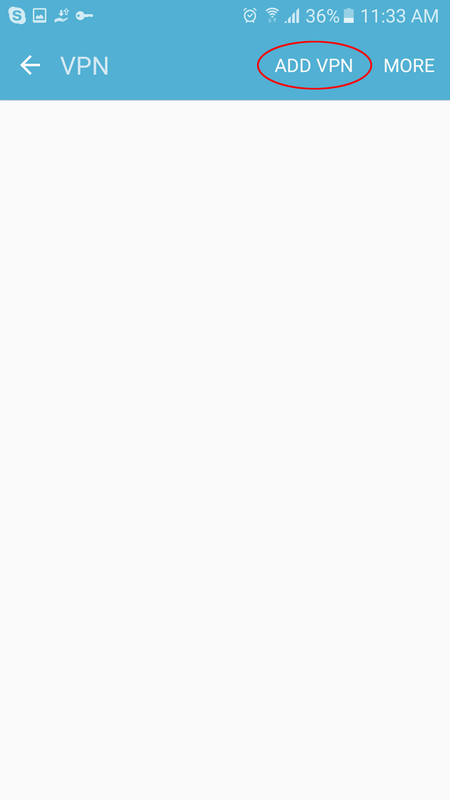 It’s related to the IP address I mentioned above. Basically the VPN software will make you pass for a user from another country. The list of countries available depends on each VPN provider. It creates a link between your computer and a server that is located in the country in which you want to pretend to be. Then, this server connects to the website to get the content and sends it back to you. You can use this feature to watch American Netflix or stream AMC to get the latest The Walking Dead episode. This will work not only for the USA, but for all countries and for all restricted content. If you want technical details, check my other guides. I’ve written a lot of awesome articles about VPN for dummies, and VPN reviews. This is a feature only a few VPN offer, among them CyberGhost. Data compression (or file compression) is an option to reduce the impact of images by shrinking them or re-encoding them in a lower quality. You won’t see the difference in quality on your mobile screen. But the feature drastically reduces their size. This feature might potentially extend your data plan by up to five times. Which is great if you use your mobile phone as a hot spot for your laptop or other devices. You’ll find many VPNs for Android out there – claiming to be the best. And you’ll find free Android VPN apps – to use at your own risks. The list I prepared below includes the best VPN providers for Android. All these are reliable service providers, which you can select for your Android device, but not only. BE CAREFUL WITH FREE ANDROID VPN APPS! Nothing is really free in this world… If you know what I mean. They could collect your data and browsing habits for commercial purposes or worse. Like sell your bandwidth or use you for a botnet. With a free VPN, you would do yourself more harm than good. 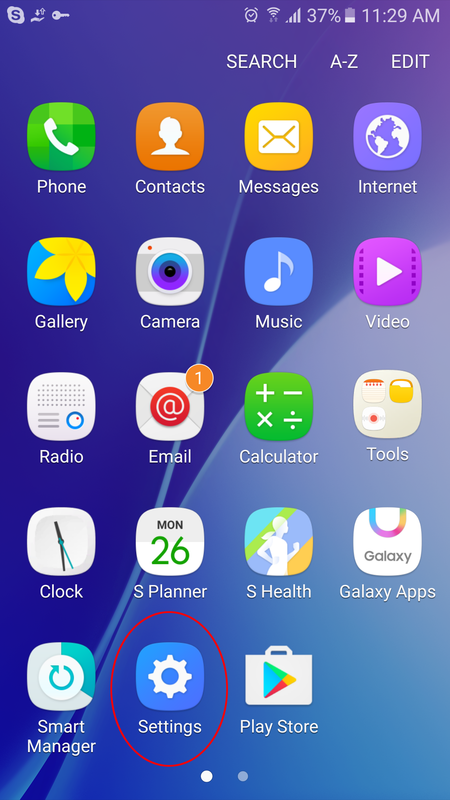 I made this tutorial with my Samsung phone running Android, using VyprVPN. But most Android devices have similar setups. Give a Name to your VPN – Make it descriptive for an easier use later! 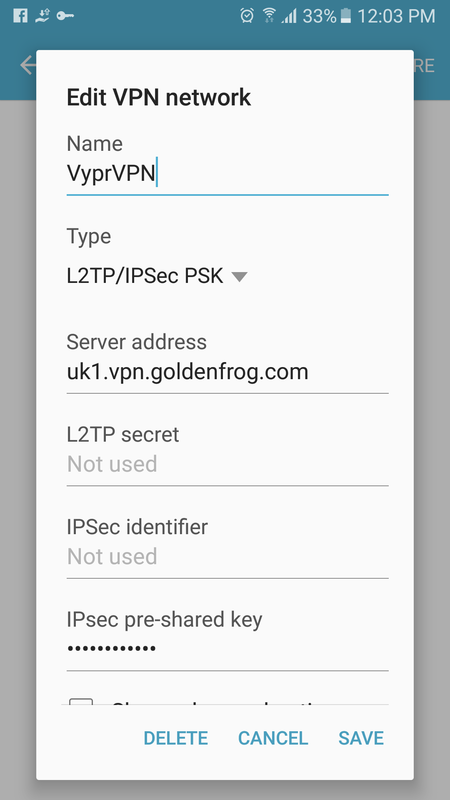 Choose the protocol (Type): I recommend L2TP/IPsec PSK because PPTP is very unstable on Android OS and OpenVPN is not available (only with an app). Click CONNECT and that’s it! This was my guide: 5 best Android VPN | Protect your smartphone with a VPN app Stay tuned for more articles coming soon.